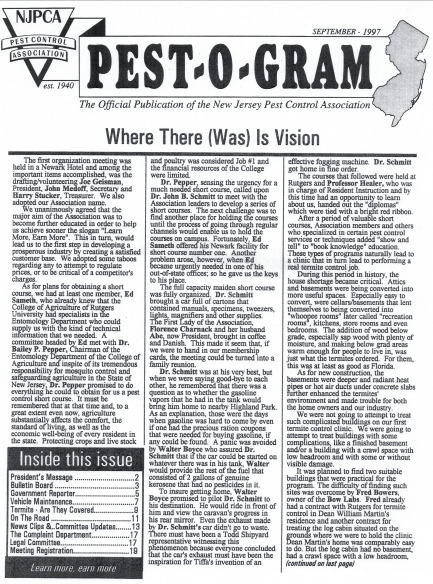 The first organization meeting was held in a Newark Hotel and among the important items accomplished, was the drafting/volunteering Joe Geisman, President, John Medoff, Secretary and Harry Stucker, Treasurer. We also adopted our Association name. We unanimously agreed that the major aim of the Association was to become further educated in order to help us achieve sooner the slogan "Learn More, Earn More". This in tum, would lead us to the first step in developing a prosperous industry by creating a satisfied customer base. We adopted some taboos regarding any to attempt to regulate prices, or to be critical of a competitor's charges. As for plans for obtaining a short course, we had at least one member, Ed Sameth, who already knew that the College of Agriculture of Rutgers University had specialists in the Entomology Department who could supply us with the kind of technical information that we needed. 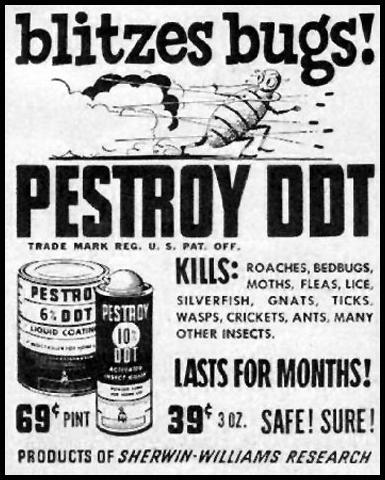 A committee headed by Ed met with Dr. Bailey P. Pepper, Chairman of the Entomology Department of the College of Agriculture and in spite of its tremendous responsibility for mosquito control and · safeguarding agriculture in the State of New Jersey, Dr. Pepper promised to do everything he could to obtain for us a pest control snort course. It must be remembered that at that time and, to a great extent even now, agriculture substantially affects the comfort, the standard of living, as well as the economic well-being of every resident in the state. Protecting crops and live stock and poultry was considered Job # 1 and the financial resources of the College were limited. Dr. Pepper, sensing the urgency for a much needed short course, called upon Dr. John B. Schmitt to meet with the Association leaders to develop a series of short courses. The next challenge was to find another place for holding the courses until the process of going through regular channels would enable us to hold the courses on campus. Fortunately, Ed Sametb offered his Newark facility for short course number one. Another problem arose,: however, when-Ed became urgently needed in one of his out-of-state offices; so he gave us the keys to his place. The full capacity maiden short course was fully organized. Dr. Schmitt brought a car full of cartons that contained manuals, specimens, tweezers, lights, magnifiers and other supplies. The First Lady of the Association, Florence Charnack and her husband Abe, now President, brought in coffee and Danish. This made it seem that, if we were to hand in our membership cards, the meeting could be turned into a family reunion. Dr. Schmitt was at his very best, but when we were saying good-bye to each other, he remembered that there was a question as to whether the gasoline vapors that he had in the tank would bring him home to nearby Highland Park. As an explanation, those were the days when gasoline was hard to come by even if one had the precious ration coupons that were needed for buying gasoline, if any could be found. A panic was avoided by Walter Boyce who assured Dr. Schmitt that if the car could be started on whatever there was in his tank, Walter would provide the rest of the fuel that consisted of 2 gallons of genuine kerosene that had no pesticides in it. To insure getting home, Walter Boyce promised to pilot Dr. Schmitt his destination. He would ride in front of him and view the caravan's progress in his rear mirror. Even the exhaust made by Dr. Schmitt's car didn't go to waste. There must have been a Todd Shipyard representative witnessing this phenomenon because everyone concluded that the car's exhaust must have been the inspiration for Tiffa's invention of an effective fogging machine. Dr. Schmitt got home in fine order. The courses that followed were held at Rutgers and Professor Healer, who was in charge of Resident Instruction and by this time had an opportunity to learn about us, handed out the "diplomas" which were tied with a bright red ribbon. After a period of valuable short courses, Association members and others who specialized in certain pest control services or techniques added "show and tell" to ''book knowledge" education. 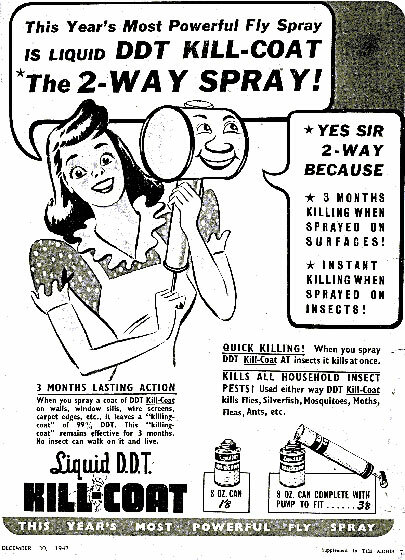 These types of programs naturally lead to clinics that in turn lead to performing a real termite control job. During this period in history, the house shortage became critical. Attics and basements were being converted into more useful spaces. Especially easy to convert, were cellars/basements that lent themselves to being converted into "whoopee rooms" later called "recreation rooms , kitchens, store rooms and even bedrooms. The addition of wood below grade, especially sap wood with plenty of moisture, and making below grad areas warm enough for people to live in, was just what the termites ordered. For them, this was at least as good as Florida. As for new construction, the basements were deeper and radiant heat pipes or hot air ducts under concrete slabs further enhanced the termites' environment and made trouble for both the home owners and our industry. We were not going to attempt to treat such complicated buildings on our first termite control clinic. We were going to attempt to treat buildings with some complications, like a finished basement and/or a building with a crawl space with low headroom and with some or without visible damage. It was planned to find two suitable buildings that were practical for the program. The difficulty of finding such sites was overcome by Fred Bowers, owner of the Bow Labs. 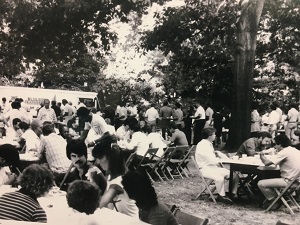 Fred already had a contract with Rutgers for termite control in Dean William Martin's residence and another contract for treating the log cabin situated on the grounds where we were to hold the clinic. Dean Martin's home was comparably easy to do. But the log cabin had no basement, had a crawl space with a low headroom, a bad termite infestation and seven, dimensional lumber damage. Since the buildings were to be treated as a clinic, Fred assured the University that he would be fully responsible for the satisfactory treatments to both buildings, would issue his normal warranty and all work to be done at no charge. 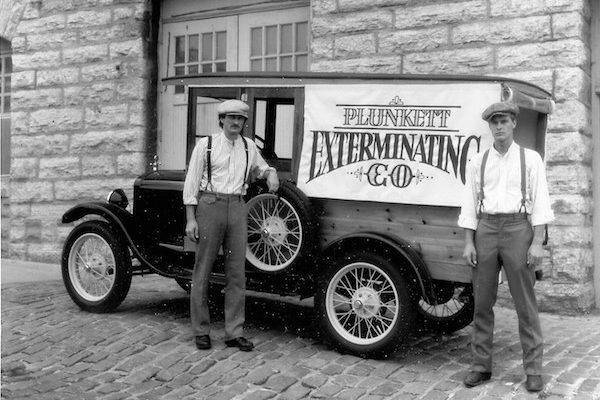 Ed Sameth, President of the Western Exterminating Company brought in his company's carpenters and demonstrated how to remove and replace dimensional lumber. The lumber was provided by him. Members were asked to bring whatever portable/transportable equipment they had and to demonstrate its use. The companies doing the work also brought their equipment for performing the work. Fortunately, chlordane was then available and the jobs turned out fine. Among the tools t.bat were still a novelty and in many cases was not even known to the industry, was a carbaloy tipped bit brought by Dave Feinstein, a New York PCO. This was a World War II discovery, the first tool of its kind that was capable of making holes in concrete by rotation. The Cyntron electric hammer was already on the market, but the bits for it were star trills which required frequent sharpening that could only be made by blacksmiths. The sharpening was accomplished by heating the tips of the bits red hot and shaping the heads into drilling patterns As a reward for the hard working participants and guests, we treated ourselves to a feast that was free of any concerns about salt, fat and cholesterol, and washed down with that reliable thirst quencher commonly referred to as beer. become significant members of the community and we have had the Opportunity to demonstrate our special gifts. willingness. responsibilities, and competence to accept the tasks of preventing a great deal of damage claiming the distressed and alleviating the suffering caused by pests. As the pest control industry has become so technically oriented and inundated with regulations, industry consultants like Doug Mampe have become more important. Many of us have consultants on a retainer basis. These consultants provide almost daily service by identifying unusual insects, making recommendations on pest control, and assisting in complying with regulations. In addition the consultants provide in-house training so that our staff maintains DEP accreditation and remains up-to-date on technical and regulatory subjects. We consider our consultant, Doug Mampe. as part of the staff. In attempting to acknowledge the great debt that our industry owes to members of the Entomology Department and others I think it important to mention at this time that through the concern and thoughtfulness of Dr. Lee Merrill, a former Dean of the College of Agriculture and Director of the Experimental station, I had the pleasure and honor of meeting the new Dean of Resources, Dr. Bruce C. Carlton and the opportunity to describe to him the long and fruitful relationship between the NJPCA and the College. It has been my good fortune to have had the opportunity to be associated in various capacities with all the Deans beginning with Dr. William Martin and expressed my hope of having the Association and myself enjoy the same relationships with him. 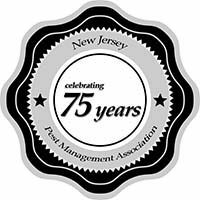 As both the pest control industry and Cook College have evolved and grown, both have benefited from the long and pleasant association so it’s very fortunate to have Dr. Bruce Carlton as the Chief Executive of Cook/NJAES who already has such strong ties and experience with industry as well as agriculture. 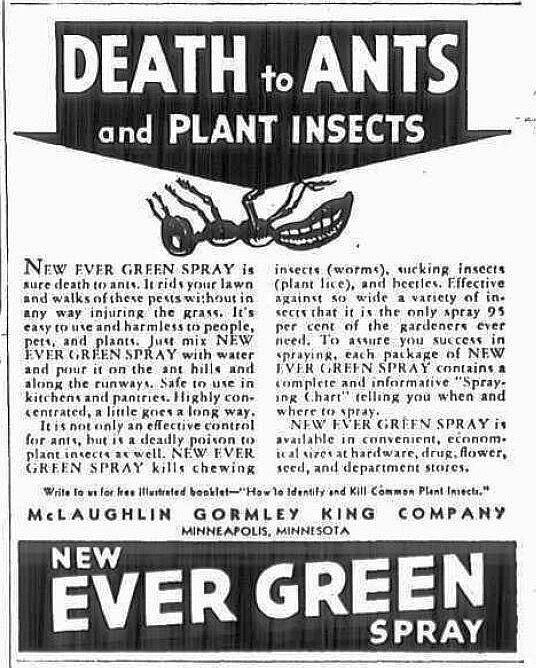 Written by John Medoff, of Hudson Exterminating Company. 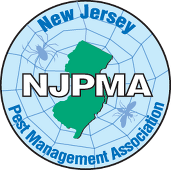 John is one of the charter members of the NJPCA as well as past president of this association.